As late payments and defaults have increased over the past years, business owners (and/or other shareholders), tired of surprises and unexpected news, are calling for tighter controls and better governance. Accounts recoverable represent more than a third of a business-to-business (B2B) company’s assets. Furthermore, everyone knows the value of customer retention versus the cost of new customer acquisition. Therefore, every B2B company’s greatest opportunity and its biggest risk is the protection of customer receivables. How much do outstanding trade debts count as an asset on the company’s balance sheet? A risk-aware balance sheet means more than tracking days sales outstanding and can be leveraged to attract bank credit and reduce borrowing costs. How does the company make credit assessments today? A risk-aware assessment process takes into account industry risk, country risk and customers’ financial health and credit history; all of this information is gathered, integrated and analyzed from various sources. How integrated is company’s credit management? Are you able to enforce a credit governance policy across all business functions? How much visibility do you have into your buyers’ financial health and credit worthiness? What’s behind the scenes of current or potential buyers’ businesses? Today’s economic climate can even impact customers with a strong credit history and historically good financial health. Every B2B company, no matter what its size, needs timely visibility into current or potential customers’ businesses. It needs to know, and be able to track, customers’ supply chains, the nature and source of their debts and what factors make them able to pay or likely to default on credit. Are you looking to expand into new markets? What level of risk can you tolerate? As, for example, more European-based companies look for growth in new, unfamiliar markets in Asia, South America and Russia, companies have to be able to determine the credit risk of potential buyers operating in these areas. 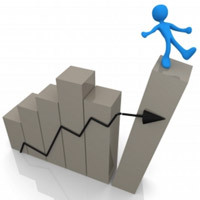 Strategic Payoff: Immediate visibility into the current financial health of customers lets B2B businesses understand their exposure on real-time; therefore if one customer drops from low or average risk to high risk, businesses can adjust credit limits until their financial position improves. When companies can accurately qualify, assess and monitor the credit worthiness of customers and prospects, they are able to grow safely and pursue export markets. When trade receivables are strong, with fewer days outstanding and fewer customer defaults, they’re worth more to banks and credit insurers. Operational Payoff: Bridging the gaps between back-office financial systems (i.e. ERP), A/R and front-line customer relationship management (CRM) systems ensures that everyone involved with customer acquisition and management works with the same information; from lead generation and closing a sale, to follow-up throughout the entire order-to-cash cycle. With an integrated credit risk management process in place, businesses can control and enforce credit authority levels, customers’ creditworthiness and credit limits, workflows for credit approvals and on-going monitoring of customers’ orders, payments and credit status. Financial Payoff: Companies that have implemented just a common ‘storage’ for customer risk information lower past due trade debts. Sales can focus their efforts on the strongest, high-value opportunities that will actually deliver fast, full revenue recognition. This will show up on the company’s balance sheet not only as higher assets (revenue and low-risk A/R), but possibly a lower cost-of-sales figure sales teams will be tangibly more productive. Furthermore, marketing can throw-off high-risk B2B customers from campaign lists, thereby saving money on campaigns and/or eliminating follow-up to responses from high-risk customers.